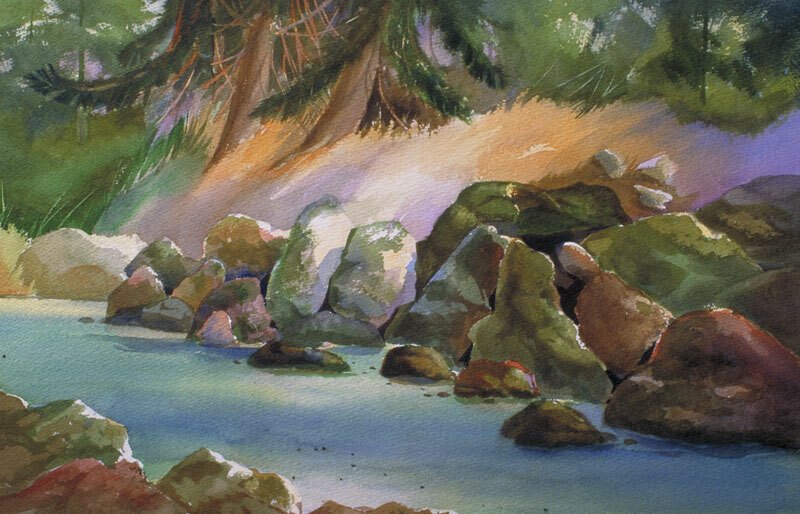 Thomas Freeman Original Watercolor Painting: "Butano Creek"
Another picture along Butano Creek in the Redwood forest. The low-lying redwood limbs stretch towards the creek looking for available light. The creek meanders along through the trees; I widened it somewhat for my purposes. The rocks are covered with a green moss; quite slippery to climb on!